Today is Holocaust Remembrance Day. All around the world, people are gathering together to remember the tragic and untimely deaths of 6 million Jews at the hands of Adolf Hitler and the Nazis. In Israel, a very important tradition is kept on this day. Since the early 1960s, a siren has been sounded once on the night before Holocaust Remembrance Day (known in Hebrew as Yom Hashoah) and once in the morning. When the siren sounds, everyone (and I mean everyone) stops in their tracks and pauses for two minutes of silence. 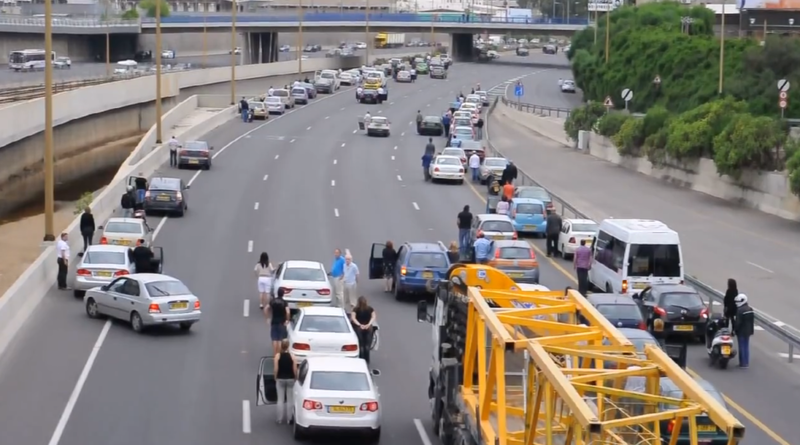 Highways slow down to a complete halt, and people step out of their cars to observe it together. The resulting display is an incredibly moving one. Watch these amazing videos, the first one is from the 2014 moment of silence. This second one is a less clear but still amazing video from this year’s.